Gabriela Cedillo was injured Sept. 1 while filming in Hammond, Ind. The woman critically injured this summer on the set of "Transformers 3" is permanently brain damaged, her family said in a lawsuit filed Tuesday. Gabriela Cedillo, 24, was an extra in the film. 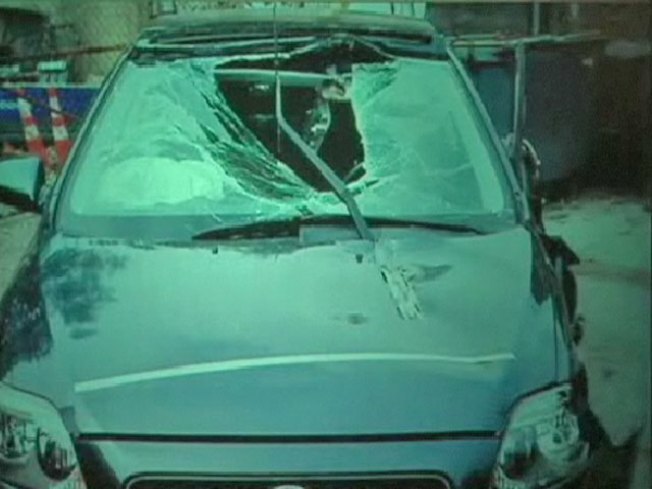 She was struck by an object that came through her windshield as she drove her car on the Northwest Indiana set on Sept. 1 (video below). "From what I know, an extra is in the background. Never did we think she'd be put in danger," Cedillo's brother, Adolfo Romo, said Tuesday. Cedillo was airlifted from the area to Loyola Medical Center, in Maywood. She's currently at the Rehabilitation Institute of Chicago, where her attorney said she remains paralyzed and may have lost vision in her left eye. Romo said his sister is able to write with her right hand. He said she's written, "I love you and everything is going to be okay," but said his sister doesn't remember the accident. "It is believed that the day before the same stunt failed, and alterations were made to prepare additional vehicles for filming the very next day. On the day in question the eastbound stunt vehicle, closest to the center of the road, and closest to the extras driving vehicles in the opposite direction, had its cable and attached bracket from the underside of the car break loose, and become airborne into the oncoming lanes striking Ms. Cedillo's hood, windshield, and eventually her head." "To have people driving their vehicles in close proximity to stunts that are occurring as violently as these were, I think that's unusual. I think it's careless. I think it's negligent," said the family's attorney, Todd A. Smith, of Power Rogers & Smith. Plans to continue filming in the Chicago area were scrapped after the accident. "We are all terribly sorry that this accident occured. Our thoughts, prayers and best wishes are with Gabriela, her family and loved ones. The production will continue to provide all the help we can to Gabriela and her family during this difficult time."